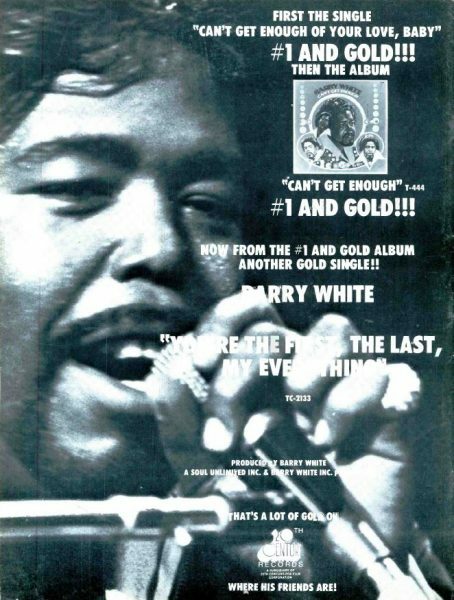 Barry White, ‘You’re The First, The Last, My Everything’ (‘Record World’ magazine, October 26, 1974). Click to enlarge. Barry White’s single, “You’re The First, The Last, My Everything” originally appeared on the artist’s Can’t Get Enough LP in the summer of 1974. “You’re The First, The Last, My Everything” smoothly rolled its way to #2 on the US Hot 100 and #1 in the UK. 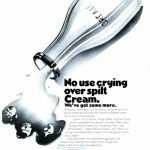 Lend an ear.